Originally from Mutare, Zimbabwe, Kudakwashe “Kuda” Sengai was a top-ranked junior player in his native country. Through his junior tennis, he collected many awards. Amongst these awards, Kuda saw himself winning Gold medal in the Zimbabwe-National Youth Games in 2007. He was also selected to represent the Zimbabwe Schools National Team. He then immigrated to the U.S. and earned a tennis scholarship at Our Lady of the Lake University (OLLU). While at OLLU, Kuda was the top-flight singles and doubles player, leading the Saints to their first-ever NAIA national ranking. 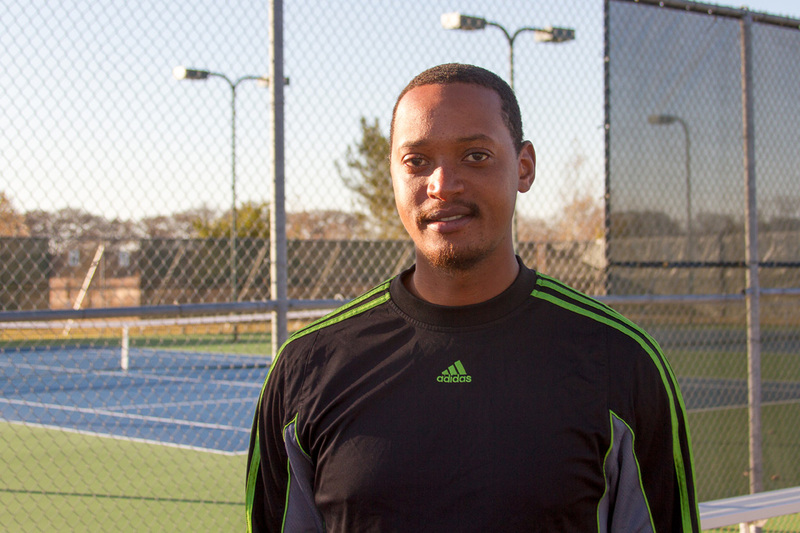 Kuda brings experience in building tennis programs from grass roots, to advanced levels. He has coached at the internationally recognized Topnotch Resort in Stowe, VT, the John Newcombe Tennis Ranch (Newks) in New Braunfels, TX, and the Roddick Tennis Foundation. Kuda was the Assistant Men’s and Women’s Coach for OLLU during the 2014-’15 season before accepting the Director of Tennis Position at Spring Branch Tennis Association. I’m so excited to be working with Kuda. He has been helping me tremendously with my movement on the court! I get an entirely new perspective each week in clinic! Kuda has really helped my tennis game. He is very encouraging and helps to improve both your technique and shot selection. He is a phenomenal player and always makes individual lessons and clinics fun! Coach Kuda has been a great addition to Boerne tennis. His training style combines fitness and teaching tennis skills, while still making it fun. He’s great with the kids, very understanding and patient, without being a pushover. I have seen a tremendous improvement in my son’s level of play and enthusiasm for tennis since he started training with Kuda. Kuda is an awesome coach. Kuda does a great job of teaching. His strengths are his patience, positivity and his method of building from the fundamentals. He possess the ability to impart knowledge and inspire confidence. Kuda is an exciting new chapter you Boerne Tennis.